India and Russia have been strong trading partners but the total trade between them in the five years till 2015-16 remained stagnant at $6 billion. In 2016-17 the trade stood at $7.5 billion -- an increase of 22 per cent over the previous year. India s exports to Russia have increased from $0.94 billion in 2007-08 to $1.9 billion in 2016-17 while Indian imports from Russia increased from $2.5 billion in 2007-08 to $5.6 billion in 2016-17. Both countries have now set an annual trade target of $30 billion by 2030. At a time when United States has imposed sanctions against Russia this also provides an opportunity for India to beef up its trade and economic relationship with Russia. The upcoming visit of Russian President Vladimir Putin in October should be used to further strengthening of ties. Since 2014 the United States has imposed travels bans asset freezes finance and trade restrictions against individual and companies that restricted financing options for the oil and gas giants through US banks and markets. Russia has been a strong and time-tested partner for India. The relationship has been based on several common interests as the two countries also share a similar worldview. They ve also had a strong economic relationship in the past. Russia assisted India in taking the initial steps towards industrialisation with major projects like the multipurpose Bhakra Nangal dam Bhilai steel plant and Indian Institute of Technology-Mumbai. When the erstwhile Soviet Union collapsed in 1991 Russia was India s biggest supplier of defence technology. Merchandise trade between the countries was initially mainly textiles tea and wheat but later expanded to a wide range from food to hydrocarbons to information technology. Pharmaceutical products are one of the top items that India exports to Russia. Tea coffee spices and apparel are some of the items are also exported. Top imports from Russia include gems and jewellery petroleum products and fertilisers. There is a huge potential for Russia to invest in defence manufacturing as the country is the primary source for defence equipment in India. Though US sanctions are irritant for India it has made it clear that its defence purchases will not be dictated by any other country such as the United States. In April Defence Minister Nirmala Sitharaman met her Russian counterpart General Sergey Shoygu in Moscow and discussed how to enhance defence production cooperation and create synergies in the sector. The energy sector also offers enormous potential with India an energy deficient country and Russia an energy surplus. With India expected to emerge as the third largest consumer of energy by 2025 after United States and China Russia can play a vital role in providing energy security in the future. Russia can invest in India s infrastructure development programme like the Delhi-Mumbai Industrial Corridor (DMIC) Smart Cities low-cost housing and urban transport systems. The DMIC envisages investments of $90 billion while the Smart City initiative is projected to involve total spending of $690 billion. For India Russia can be potential market for Information Technology and related services given that these are India s largest export services. With India emerging as a leading manufacturer of low-cost high quality generic drugs Indian companies can partner with Russian firms for joint ventures under the Pharma 2020 programme of Russian government which aims to develop a production base. 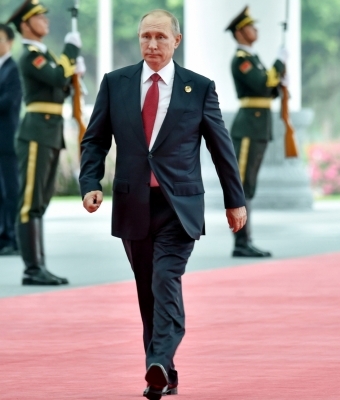 A weak Russian economy is becoming increasingly dependent on China for economic cooperation and India s concern could be that the dependency could further extend to political and strategic issues. In the Sochi summit the two leaders also upgraded the relationship to a "special privileged strategic partnership" and Prime Minister Narendra Modi had expressed hope that this special relationship will be further strengthened. During the 18th economic summit in St Petersburg Modi said: "The ties between India and Russia span the spectrum from culture to defence." The October summit in which the leaders plan to discuss a wide range of issues of bilateral relations especially trade and economic ties presents an opportunity for India to further cement the relationship with it s time-tested partner.